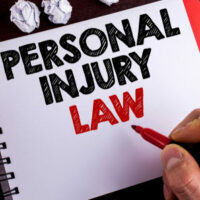 What is “Discovery” in a Personal Injury Lawsuit? Unless your lawsuit settles quickly after filing, you will probably have to engage in discovery. Discovery is a fact-finding phase in a lawsuit, and it can last a long time. The purpose of discovery is to allow each side to find out what facts the other side has in its possession that it intends to use. Although surprise witnesses make good drama on TV, the American court system is designed to minimize surprises. To that end, your lawyer can use different discovery techniques to find out helpful information and documents. The other side might have objects or documents in their possession that you want to inspect or read. For example, in a car accident, you will want to see a copy of the other side’s insurance policy. You might also want to inspect their vehicle. To gain access, you can serve Requests for Production. The other side then has a limited amount of time to either turn the documents over or to set up a time for your lawyer to inspect them. The other side can also request documents from you. For example, they might want copies of all medical records as well as medical bills and receipts. You will have to provide these in a timely manner. Sometimes, discovery requests are overly broad or invasive of your privacy. If the other side wants every email communication you have made in the past 8 months, then your lawyer can fight it. The other side will need to narrow their request to communications that are somehow relevant to the lawsuit. Interrogatories are written questions that the other side must answer under oath. For example, you might want the names of all people who were witnesses to your accident or who have relevant information about the accident. You can request this information with interrogatories. In a deposition, your lawyer can ask a witness questions, in person, which they must answer under oath. Unlike interrogatories, depositions allow for follow up questions, which is helpful if the witness answers in a way your lawyer was not expecting. Depositions are usually held at a lawyer’s office and recorded. In some situations, what a witness says in a deposition can be introduced later at trial. For that reason, depositions are a good way to “lock in” a witness to a particular story. As the victim in an accident, you will probably need to give a deposition, which your lawyer can prepare you for. Lawsuits often revolve around a few disputed facts. You can narrow down the number of issues by asking the other side to admit to certain facts. For example, if you were involved in a car accident, you might ask the other side to admit the day and time the accident took place. A significant amount of personal injury disputes are settled before trial. Nevertheless, some trials are unavoidable, so injured victims should select their attorneys with care. At Bundza & Rodriguez, we have spent countless days in court and are prepared to do everything possible to maximize your compensation. To find out more about what we can do for you, please request your free consultation by contacting us today.